Ian Steel OAM is the founder and CEO of KickStart for Kids, a not-for-profit organisation that helps school children achieve positive educational and self-esteem outcomes through breakfast, lunch and mentoring programs. 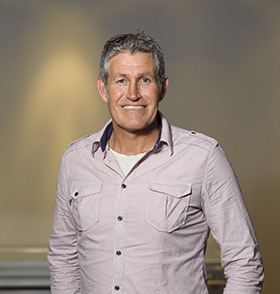 Ian Steel OAM is the founder and CEO of KickStart for Kids, a not-for-profit organisation that helps school children achieve positive educational and self-esteem outcomes through breakfast, lunch and mentoring programs. He is this week’s Changemaker. In 2009, Steel noticed that some of the at-risk primary children he was mentoring were always hungry and could not concentrate properly. After consulting with teachers and students he discovered that on average 10 to 15 per cent of kids in lower socioeconomic areas were coming to school without breakfast and lunch. Steel, a builder by trade, started making sandwiches to take to schools before he went to work. In 2011 he founded KickStart for Kids on the belief that every child, regardless of their social or economic background, should have an equal chance. Today KickStart for Kids supports more than 300 South Australian schools, providing around 40,000 breakfasts and 10,000 sandwiches a week. The organisation has also grown to include mentoring programs and a vacation camp. On Australia Day 2017 Steel was recognised in the General Division of the Order of Australia for his service to children through social welfare programs. In this week’s Changemaker, he talks about making thousands of sandwiches, why education is power and the awful things that that rocked his world. 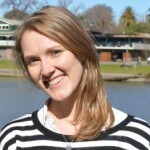 How did you go from being a builder to launching KickStart for Kids? I have worked with young, disadvantaged kids for a long time. Going out and mentoring young kids, going into lower socioeconomic areas of Adelaide, I did that with the education department for about five or six years and during that time I noticed a massive behaviour difference between the kids at the schools I was mentoring and, I’m also a junior footy coach, at the schools where I was coaching footy in the more affluent suburbs. There were kids who were angry all the time, they had high levels of anxiety, they were getting asked to leave the classroom, they were late all the time or they weren’t coming to school. So I started doing some research about the issue, just on my own, I would speak to teachers and principals and social workers in the area, and while I was doing that, the information I was getting was horrifying. So I then started to do some more research. I’d go out and speak to these kids and speak to carers and guardians and go out to where they live and what I saw was amazing. I saw kids that didn’t have any toys, didn’t have any belongings, didn’t have any clothes, all they had was their school uniform. I saw kids living in cars, on their own, kids having to go down to the park and raid the bins to find food… I found kids that didn’t know what their primary colours were when they were starting school, didn’t know what a book was when they were starting school, I found 11-year-old kids that had no hope at all, they were already downtrodden, they’d already given up at 11 or 12. There were 14-year-old girls getting pregnant, 10-year-old girls talking about getting pregnant, 11-year-old boys with needle marks in their arms, the list goes on really and so where I realised I couldn’t tackle all of the social issues they were having to deal with, what I realised was that they needed to get educated to pull themselves out of the poverty cycle that they were in and that their families had been in for generations and generations. The only way to do that was to get somewhere that they all go and that was school, so I got the idea of breakfast programs, so I started up a breakfast program and off we went. What difference does having breakfast make to these kids? Basically I went out to the more fringe residential areas and the industrial part of Adelaide and I set up a breakfast program there before work and I filled up my ute, went down to the local shopping centre and told them the story and the bakeries donated a loaf and what have you, I went and loaded up my ute and set up a breakfast program and almost instantaneously the kids changed into normal, beautiful, fun-loving kids. They became happy, they wanted to make friends, they weren’t angry anymore, they wanted to come to school and they wanted to be on time because they knew there was food at the end of it. But you know how you feel when you get hungry, you can’t do anything, you can’t concentrate, you can’t work, so times that by 10 and that’s how the kids are feeling and there’s no way that they can get educated. But as soon as they have breakfast they settle down and become valuable members of the classroom. It only takes three months. We also run mentoring programs, so we have a mentoring program and a reading program that we run in schools as well as the lunch program, so we make 8,000 sandwiches every week as well, because obviously kids that go to school are hungry. Kids that are coming to school with no breakfast or lunch are getting zero support at home because they don’t have parents as we see parents should be, so you get a child at 11 in year 5 or 6 and their reading age is that if an 8 year old, so as you can imagine, they are embarrassed about what they don’t know, and they are mucking up in class. All they do is muck around because that is their defence mechanism, as soon as we go in there and they get access to all of our programs, so they get breakfast, have lunch, they get a reading mentor and a mentor that grows their self esteem and in three months their reading age jumps too and they are proud of what they know, they’re putting their hand up they are enthusiastic about learning. How can education break the cycle of poverty? Education is power. Education enables our young people to make their own decisions in life. I have met, and I’m sure a lot of other people in not for profits have met, 30 year olds who have never ever been taught in their whole lives and they are unemployable and institutionalised because they know how to live on $100 a week. So education is power, education is the opportunity to be what they want to be, it gives them an opportunity to break out of the poverty cycle, it gives young girls the opportunity to be somebody and not to be at the beck and call of a male. [It is just] so important. What does a typical day for you entail as CEO of KickStart for Kids? I’m still in the construction industry, obviously because not for profits don’t pay a real lot and I’ve got a family I’ve got to look after, but I generally get to work about 5.30am because we are a not for profit, we are also a distribution business. Everyday we’ve got four vans that go out delivering product to over 300 schools in South Australia. So we have to keep the product out of the cool rooms and the freezers, we’ve got to load the vans, we’ve got to make sure that the drivers are happy, make sure they know where they’re going, because all of our drivers are volunteers. We’re a volunteer-driven not for profit, our drivers come in every week and drive for four or five hours out of the goodness of their heart. Then we need to source all of our product, so we go through about a ton of fruit every day, just for an example. So we source all of our product and we need to source that free of charge as well. And then we have volunteers that go into all of those schools and run the breakfast program, so that takes a lot of coordinating. Our volunteers go in at about 8am and set up breakfast and make breakfast, and interact with their kids and make sure they’re ok. Because the breakfast programs they are the front line of neglected and abused children. If anything untoward is happening to a child then we see it first at the breakfast program so we have to make sure that all those kids are happy and they have come to school and that they are feeling good about themselves. And then they pack everything up and then they go off to work most of them. Then we have to make sure our sandwich makers have made their 8,000 sandwiches for the week, we’ve got to make sure that that is all going on. We do that in a kitchen that is donated to us at a hospital, we have about 40 people that make sandwiches every week. Then we have a mentoring program and a reading/mentoring program so those people go into the schools at different times of the day that suits them. And then obviously as other people who run not for profits know, there is a lot of relationship building that goes on in order to get the necessary funds to run our not for profit. We have also just started a vacation camp called Camp Kickstart. So all of the kids that we look after, we can get them through school time but during the holiday time, no one knows what happens to them. They are at risk when they are at home and one of the only places they feel safe is when they are at school so we started Camp Kickstart where we go and look after the kids during the holidays, they are the real at risk kids, we make sure they have fun, we do some numeracy and literacy programs, because research shows at risk and disadvantaged kids during holiday time, their numeracy and literacy levels drop off alarmingly so we do a bit of that. We create a fun environment so they all have fun. At Christmas time we went out into the South Australian community and collected 3,000 Christmas presents for all of the kids that we look after around South Australia. So you know it is more than a breakfast program that we do. This year we are going into more remote parts of South Australia, we’ve got a really good sponsor and we’re able to use his distribution system in getting fresh fruit and veg and food weekly to all of the really remote communities in South Australia. And then hopefully we’ll go national. A lot of our sponsors are national companies and they would like to see us going into the other major capital cities with them. You have just been recognised in the General Division of the Order of Australia, how does it feel to be recognised for the work you are doing? Look, we don’t do it for that. I’m a builder, I just saw something that just rocks my world and I had to do something about it, like lots of other people in Australia. This thing has grown into what it is and look, it is very humbling and it is probably very satisfying to my family because they have sacrificed a lot for what I do, and it is also very satisfying I guess to my friends and associates, because I call on them all the time. But at the end of the day when you walk into where a child lives and you wouldn’t even let your dog live the way these kids live, it doesn’t really mean a lot. How do you find the time for you? I coach four footy sides and one netball side, I sit on the board of another not for profit, I’m president of another sporting club side. Just seeing children live in conditions where they shouldn’t be living in, and seeing how these beautiful kids where, through no fault of their own, they have to live the way that they live because of the circumstances that basically they have been born into. It’s not fair. Every child should be on a level playing field when they are growing up and it’s not the case. We have got to give these kids the opportunity. I’ve seen some awful things that just rocks your world and you just have to do something about it. I always like to say that “education is power”. Whenever I go out and talk to people, education is power and education gives people the right to make their own choices in life.